Tottenham will kick off the Premier League weekend at home to Huddersfield without striker Harry Kane, whose ankle injury leaves Manchester City’s Sergio Aguero as 6-5 favourite to win the Golden Boot. 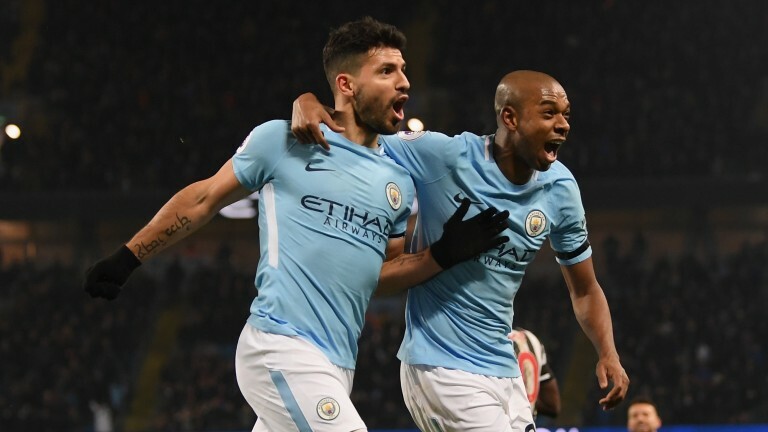 With Kane unlikely to be able to add to his tally of 17 league goals this term, Aguero (19) is one clear of Mo Salah, who is 11-4 to retain his crown. Arsenal’s Pierre-Emerick Aubameyang, a 6-1 shot, and 12-1 Sadio Mane are both on 17 goals. English teams dominate the Europa League betting after wins for Chelsea and Arsenal in Thursday’s quarter-final first legs. The Blues, who saw off Slavia Prague 1-0 away from home, are 17-10 favourites while the Gunners, who take a 2-0 lead to Napoli, are next in the betting at 3-1. Barcelona stars Lionel Messi, Luis Suarez, Gerard Pique and Sergio Busquets will be rested for the trip to bottom club Huesca. They are 1-10 to qualify from their Champions League last-eight tie against Manchester United after a 1-0 first-leg win at Old Trafford and are 5-2 favourites to lift the trophy following Manchester City’s 1-0 defeat at Tottenham. Leeds, who host Sheffield Wednesday in the televised Sky Bet Championship game, are 1-2 to win promotion – the same price as Sheffield United. Leaders Norwich are 1-50 to be in the top flight next term.